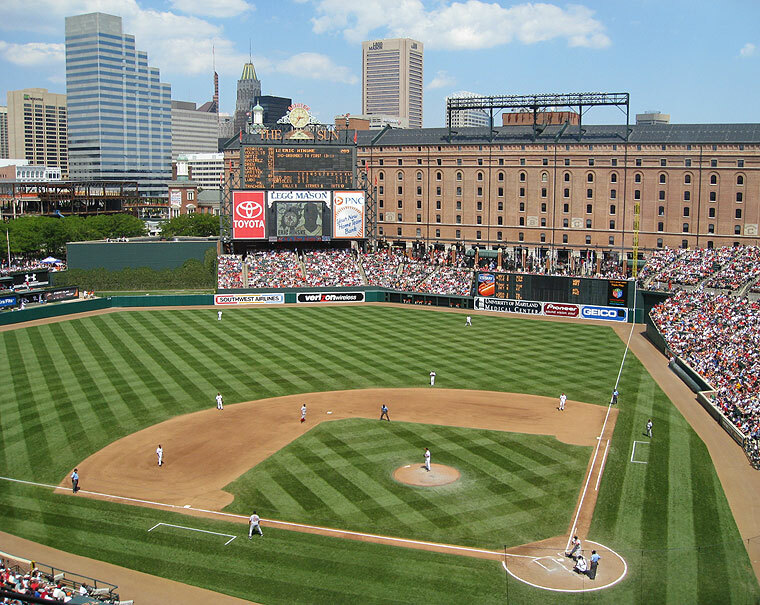 Game 1 – Pirates @ Cardinals – Opening Day! 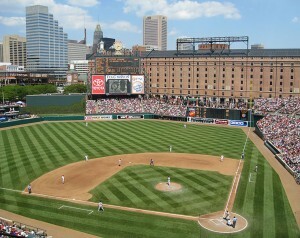 I enjoyed opening day from the beautiful Oriole Park at Camden Yards. The Yankees were in town for Opening Day, which made the day even more exciting. The Birds took advantage of C.C. Sabathia’s struggles and won 10-5. I kept myself posted on the Buccos thanks to the out-of-town scoreboard on the right-field wall. Although my hopes were down when the Cardinals were leading 4-2 in the 9th, I was thrilled to see the scoreboard change to 6-4 Pirates. Nothing like starting the season with a win! 80 to go. I later learned that the Pirates got a nice effort from Paul Maholm, Nyjer Morgan played well in the leadoff spot, and Adam LaRoche, Andy LaRoche, and Jack Wilson all came up huge with 9th inning, 2-out hits.